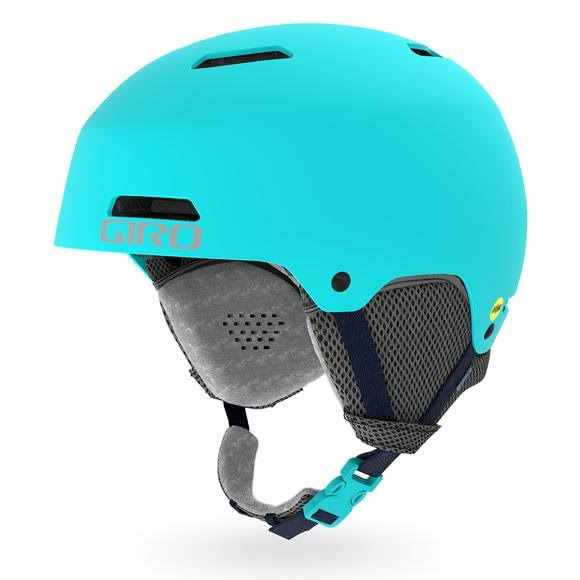 Giro's Crue MIPS delivers classic style and park-worthy performance for young shredders. It features the Multi-directional Impact Protection System (which can provide more protection in certain impacts), durable Hard Shell Construction, ample venting, and our very low profile and removable Auto Loc 2 Fit System. Giro &apos;s Crue MIPS delivers classic style and park-worthy performance for young shredders. It features the Multi-directional Impact Protection System (which can provide more protection in certain impacts), durable Hard Shell Construction, ample venting, and our very low profile and removable Auto Loc 2 Fit System. Giro&apos;s Stack Vent was developed based on research showing the majority of the warm air that can cause fogging exhausts from the center top vent of the goggle. Aligning the Stack Vent in the helmet with the center vent of your goggles helps to keep them clear and fog free while maintaining total helmet and goggle integration. To determine the correct helmet size, wrap a measuring tape around the head, keeping the tape just above the ears and level front to back. Once you&apos;ve determined the measurement, you can use the sizing chart link above as a guide.